The Gemma Shop offers curated and affordable women’s boutique pieces. Want curated and affordable fashion? Don’t want to sacrifice style as a busy momma? 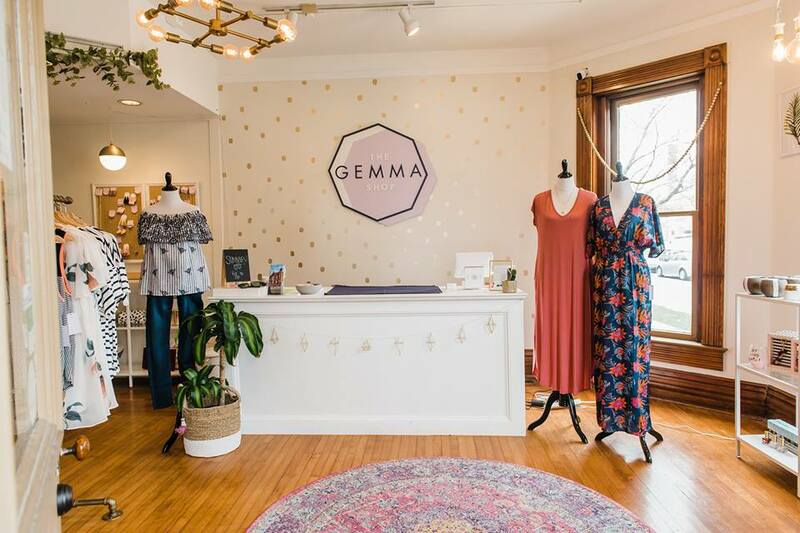 Look no further than The Gemma Shop, a contemporary women’s boutique selling the clothing and accessories you want without breaking the bank. With a store based in Westerville, and an online shop with free shipping, owner Lauren Williams says she strives to keep the store’s assortment of inventory fresh and exciting with new arrivals every Wednesday. Williams adds that she rarely re-orders pieces, to help make your selection even more unique but still on-trend. The Gemma Shop strives to offer themed, monthly events with other small businesses, as well as girls’ nights. The next event at The Gemma Shop is coming up October 6, and is the store’s annual Fall Fest event. Learn more about the event here. Williams says the store is always growing and evolving. She encourages readers to subscribe to emails to make sure you’re always in the know of what’s happening at the store. The Gemma shop is located at 43 E College Ave in Uptown Westerville and is open Wednesday through Sunday. To learn more about The Gemma Shop, visit https://thegemmashop.com/. You can also “like” them on Facebook and follow along on Instagram.